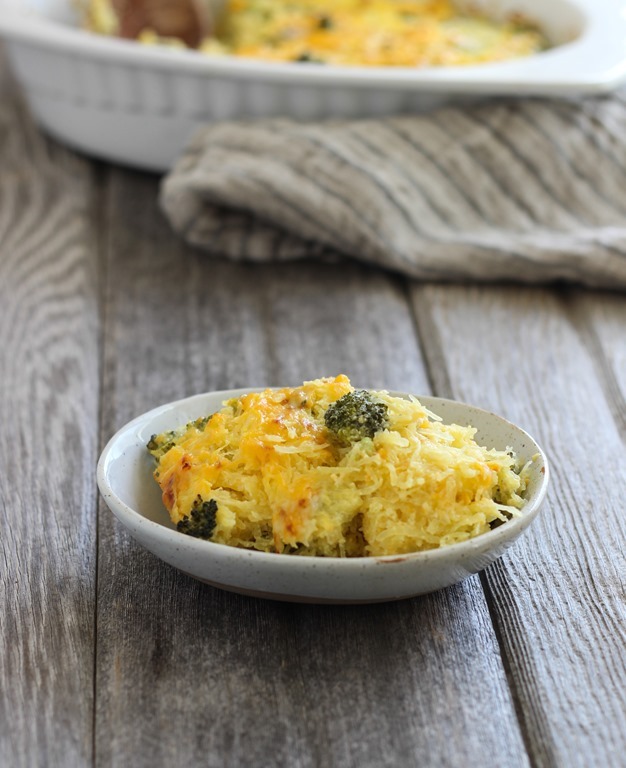 A healthy, low carb replacement for macaroni and cheese made with broccoli, spaghetti squash, cheddar and Greek yogurt. Winter time is all about feeling cozy and comfortable. 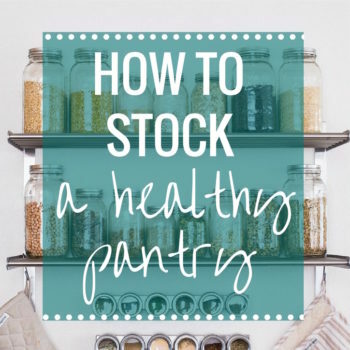 To me that means putting on my favorite flannel pajamas, curling up with a soft blanket in that spot of the couch that feels like it was meant to fit my body, and spooning mouthfuls of warm cheesy goodness into my face. You know what I’m talking about, right? The quintessential comfort food that has a way of making everything feel better? It’s like sunshine on a cold and gloomy winter day. As much as I love to indulge in a big bowl of carby macaroni and cheese, the shorter and darker days have left me with little time and energy to burn the extra calories off. But I’m still craving it like crazy so this recipe is my answer to that problem. Spaghetti squash replaces pasta for a lower carbohydrate option that packs in extra nutrition, and low-fat plain Greek yogurt keeps it nice and creamy without adding a ton of unnecessary calories or fat. To keep that comforting cheesy flavor we all love, I used a combination of Gruyere and sharp cheddar which I personally think make THE BEST combo for macaroni and cheese. But I recommend buying a block of sharp cheddar and shredding it yourself. The pre-shredded kind is never as flavorful and it doesn’t seem to melt the same for some reason. I think it’s because of the love that comes from using your arm muscles while you cook. The end result is satisfying enough to eat on it’s own but it would also make a great side item. Either way, it’s filling and just cheesy enough to quell your macaroni cravings. 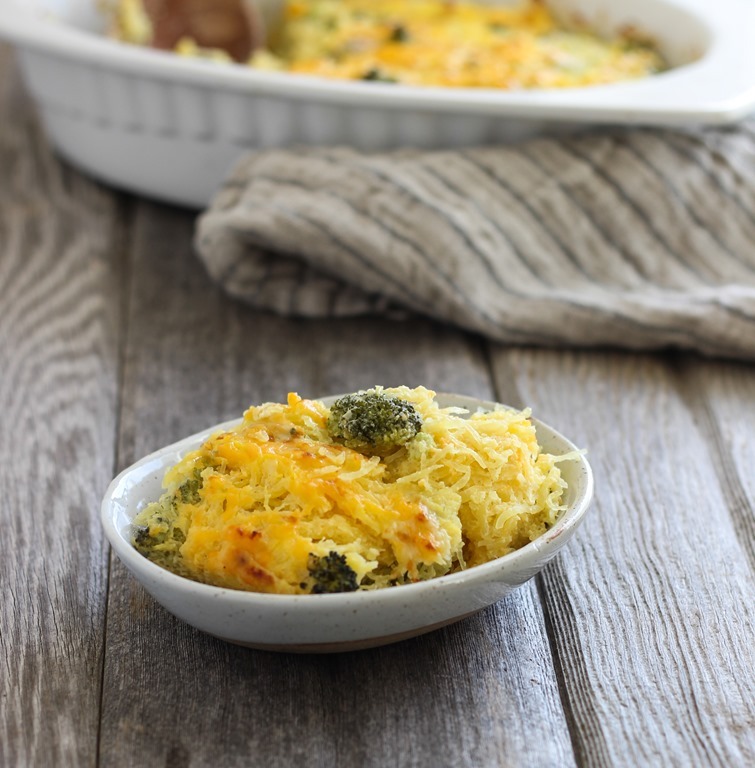 This Broccoli Cheddar Spaghetti Squash recipe was originally created for Food Fanatic. If you’re looking for more spaghetti squash recipes, I highly recommend checking out these spaghetti squash burrito bowls. There’s a tutorial on how to roast spaghetti squash and the recipe is a big hit. I’ve only recently gotten into spaghetti squash, but I really love it! This dish looks delicious and definitely perfect for a gloomy day. 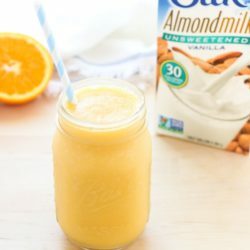 Love the addition of Greek yogurt for creaminess — that would be great! Ahh this looks like perfection. I love the cheddar/gruyere combo too! Spaghetti squash is one of those foods I have to talk Josh into (“You want to replace my noodles with VEGETABLES? !”) but smothering something in cheese always does the trick! This sounds delicious. I LOVE SPAGHETTI SQUASH!! Casseroles like this and stuffed spaghetti squash are my favourite ways to use it. 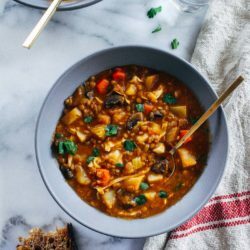 I think I am going to try a vegan version of this casserole! Gorgeous photos! 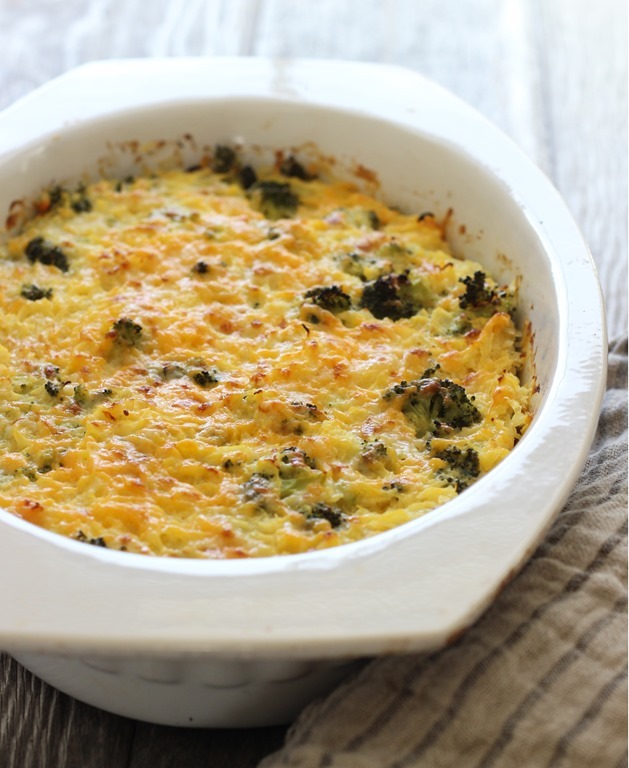 My husband loves broccoli + cheddar so I’m sure he’d love this dish! I also love the texture of spaghetti squash. It’s so versatile! I love cheddar and gruyere in my mac & cheese too! 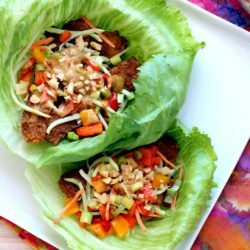 This is a great healthy twist on it. Can you believe I haven’t bought a spaghetti squash this fall/winter yet? Yum! 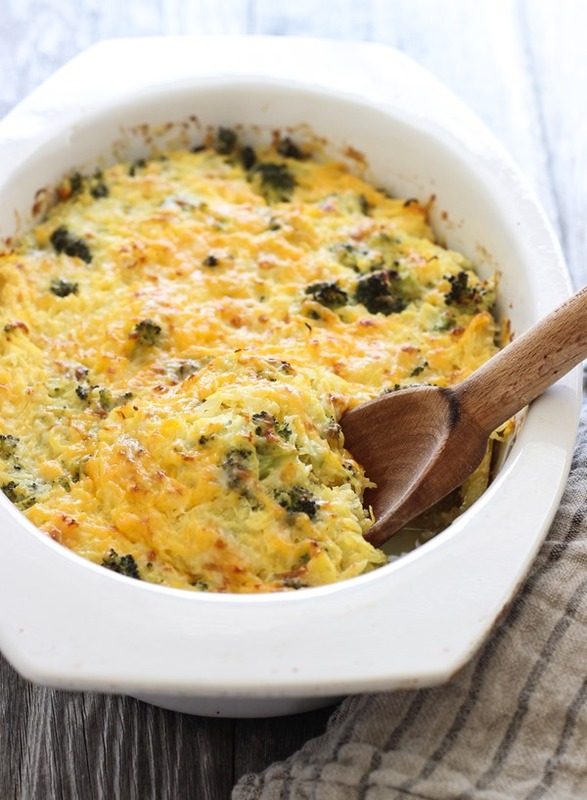 I love the idea of using spaghetti squash in this casserole. And who doesn’t love gruyere and cheddar cheese? This looks like the perfect recipe for a cold winter’s day. Oooo gruyere and cheddar!! And yay for spaghetti squash! This looks so cheesy and comforting – exactly what I need to deal with all this cold weather we’ve been having! Cozy up on the couch with a big bowl! 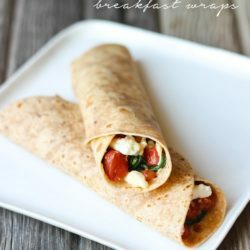 This looks very delicious and cheesy! I’ve never made spaghetti squash casserole but you’ve inspired me! This is perfect for this cold weather in Canada! Mmm yes! I have been alllll about the comfort food lately! 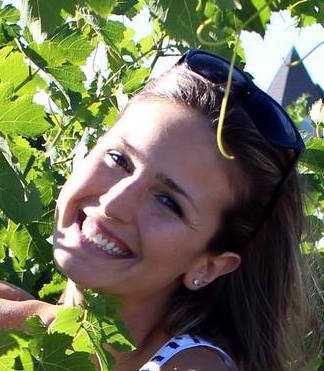 Love this lightened up version…looks just as satisfying ! OOOO I really love this idea! It’s almost like mac and cheese with broccoli only better for you. Love love love. 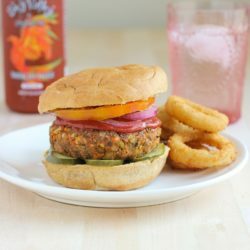 I’ve made this twice now and it’s absolutely delicious! However, today, I wanted to make it but didn’t have spaghetti squash on hand. I had a head of cauliflower that needed to be eaten so I substituted cauliflower rice for the spaghetti squash and I might actually like it better this way! So yummy!! !